Years ago, a Valkyrie Class Sloop charted for a long oceanic voyage never arrived in port. After exhaustive searches, explorers have found her remains grounded on icy shores. While the cargo has been recovered, there’s still no explanation fer why it was off course nor the whereabouts of her crew. The frozen cargo appears to be intact so, now is yer chance to claim it as yers. Crack open this month's Ice Mystery Box and partake in the chilly offerings. 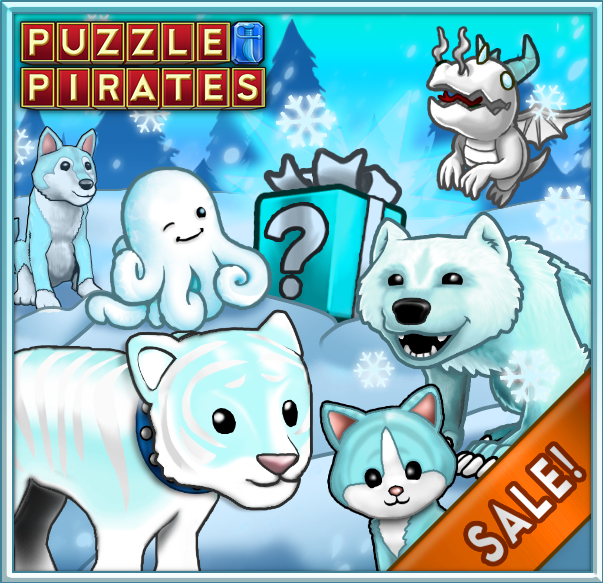 These ice cubes may contain frigid items like Ice Octopuses, Polar Dragons, Frost Tigers, Ice Wolverines, Ice blue Dogs and Cats, and more! From now until 3:00 PM PDT on January 28th, 2019 you'll receive a free Ice Mystery Box for every $9.99 you spend on doubloons, or every month of subscription time you purchase! For more information about the full contents of the 2019 Ice Mystery Box, as well as the official rules, please click here. The Ice Mystery Boxes are only available for a limited time, so grab ‘em before they melt!